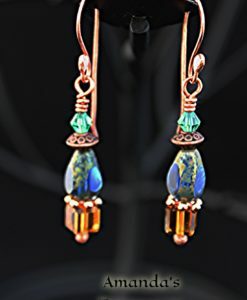 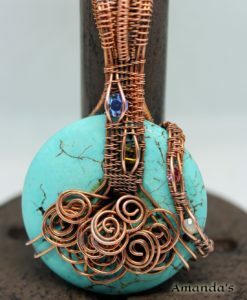 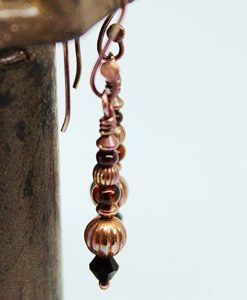 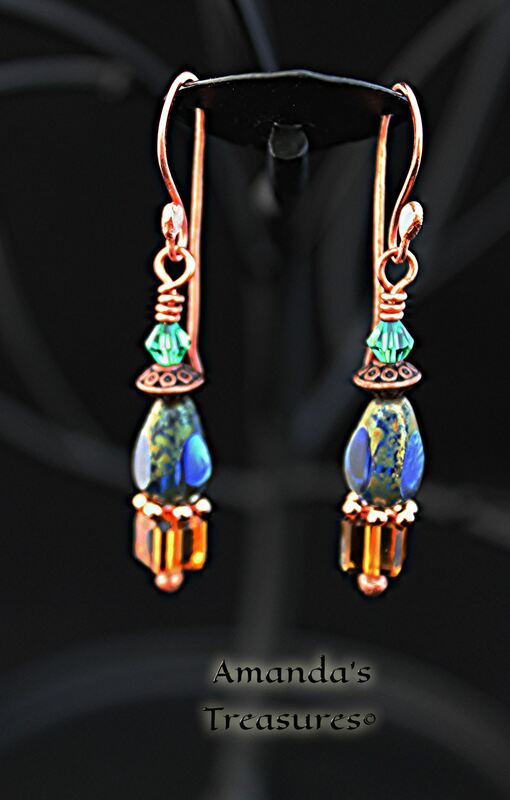 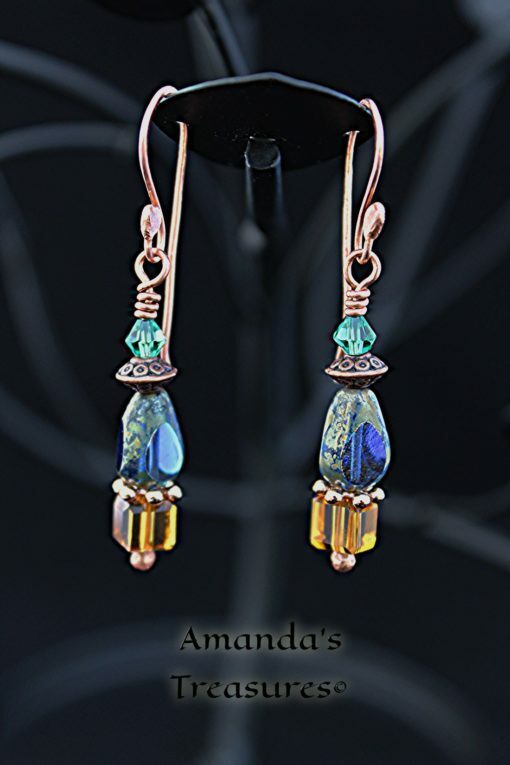 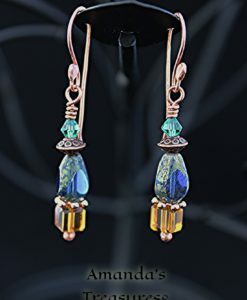 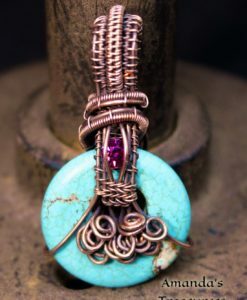 In Amber-Blue and Teal Copper Wire Earrings one of my favorite features on these earrings is the tear-shaped cobalt blue beads, that have a feature of stone like coating on the outer edges. 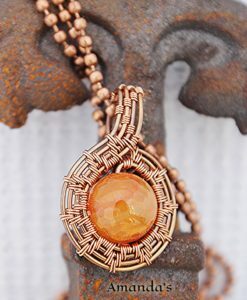 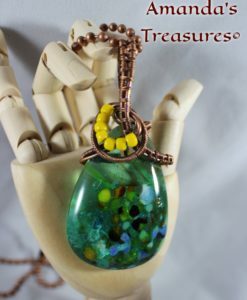 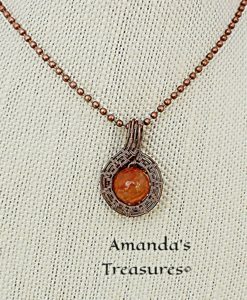 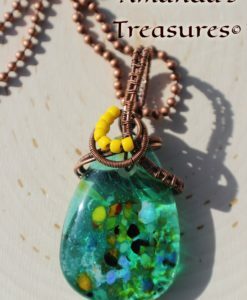 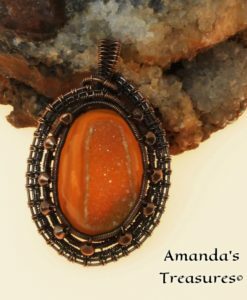 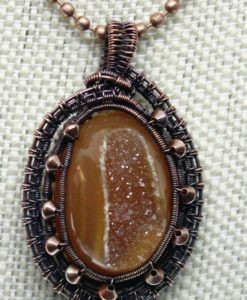 The amber colored square beads are faceted glass and catch the light beautifully. 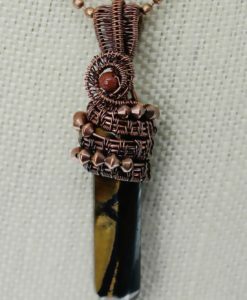 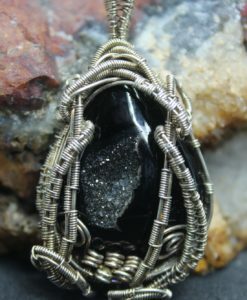 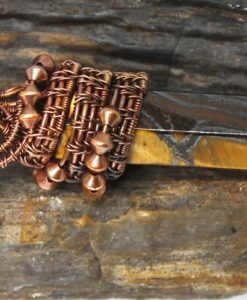 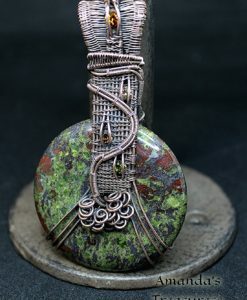 The ear wires and posts are hand forged. 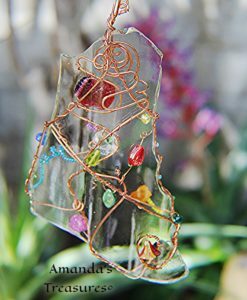 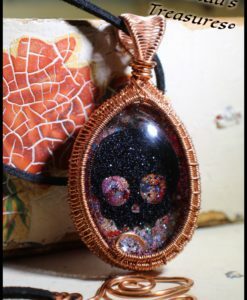 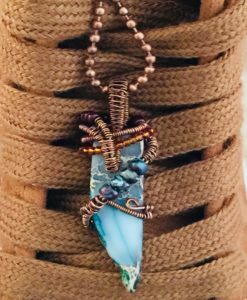 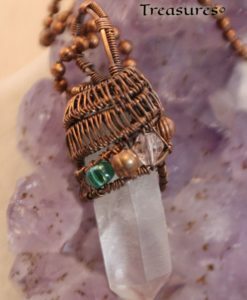 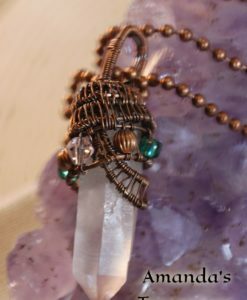 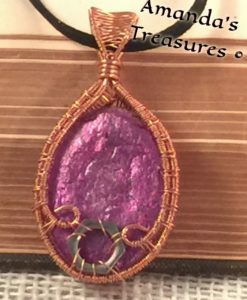 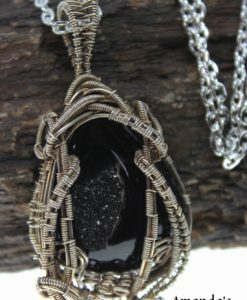 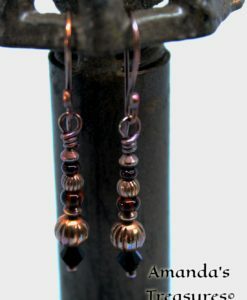 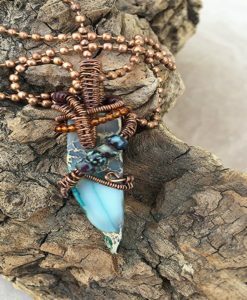 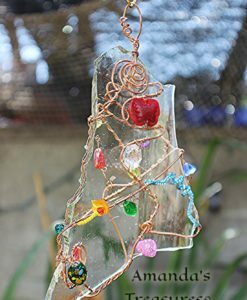 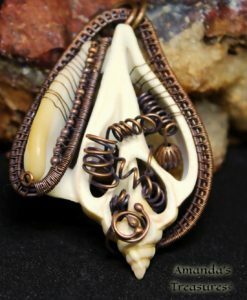 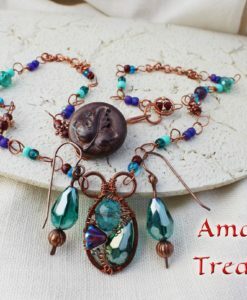 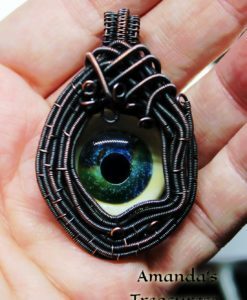 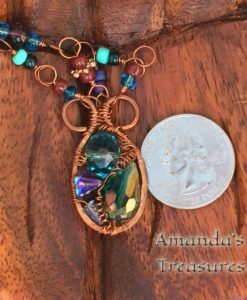 Handmade by Amanda’s Treasures.